Nick specializes in developing and servicing national tenant rep accounts for emerging restaurant brands. Implementing versatile leasing strategies and detailed site selection, Nick has been successful in identifying off-market opportunities through built relationships with public REIT’s, all the way down to single asset private landlords. With over $15 million in closed transactions for 2017-2018, Nick is on track to open 20 new locations for Reins International as they continue their U.S. expansion. 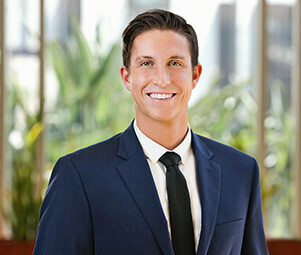 Before joining Matthews™, Nick was a top-producing leasing agent with The Avocat Group in Tampa, FL.